Posted by Pam in KC in goals, Lucy. There were only two things on my list last week. I’d show a picture of the room as it is this week, but it’s hard to see the changes. You’ll just have to believe me when I’ve said I’ve made progress. What can I say – I got distracted – but it was a good distraction. 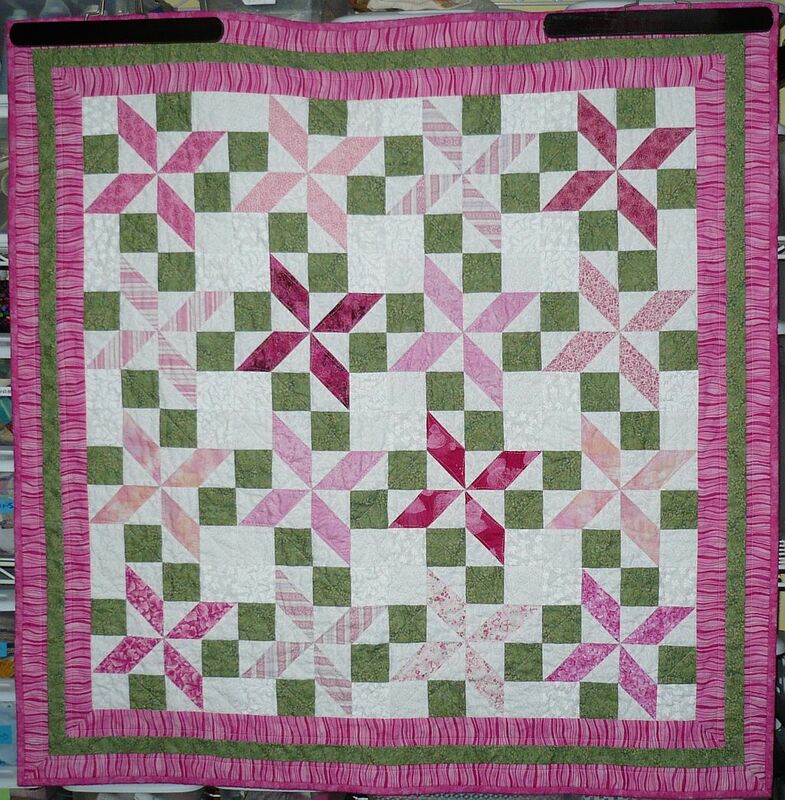 Here’s a closeup of the quilting. Nothing fancy – diagonal lines through the green, resulting in a X on the white squares and a curvy 1/4″-ish on the petals. I used a light pink thread. 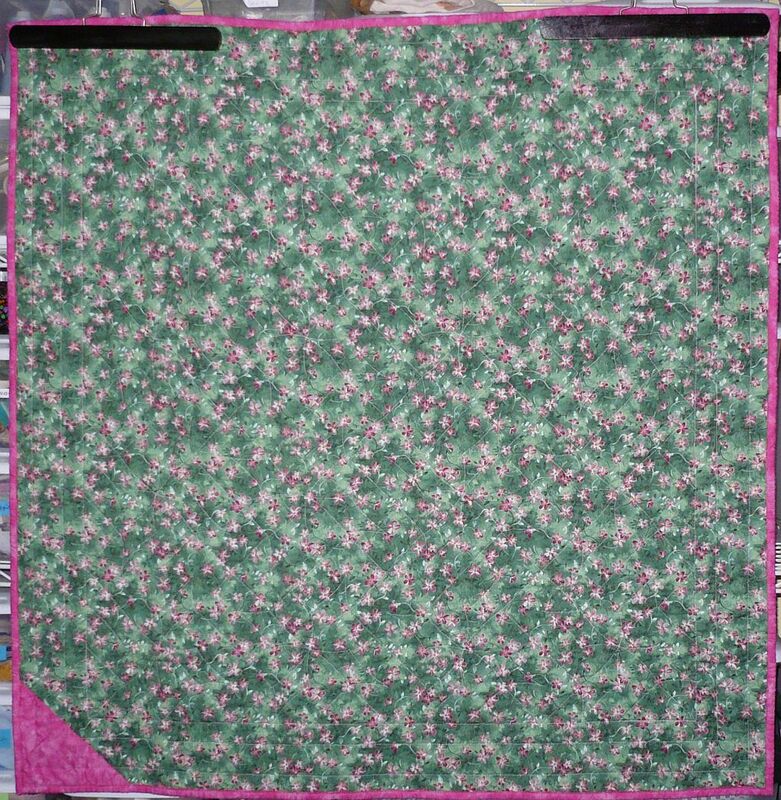 The backing is the pretty green floral I bought at the end of May on a shop hop. The binding and label is a pink Marble I had in my stash. So what’s up for this coming week? Continue working on the sewing room. I think this project is going to last all month. Find batting for the baby boy quilt. – the backing and binding are with the top. See what others are planning by following the links over at Bari’s. Way to go! Isn’t it amazing how cleaning will inspire finishes also? 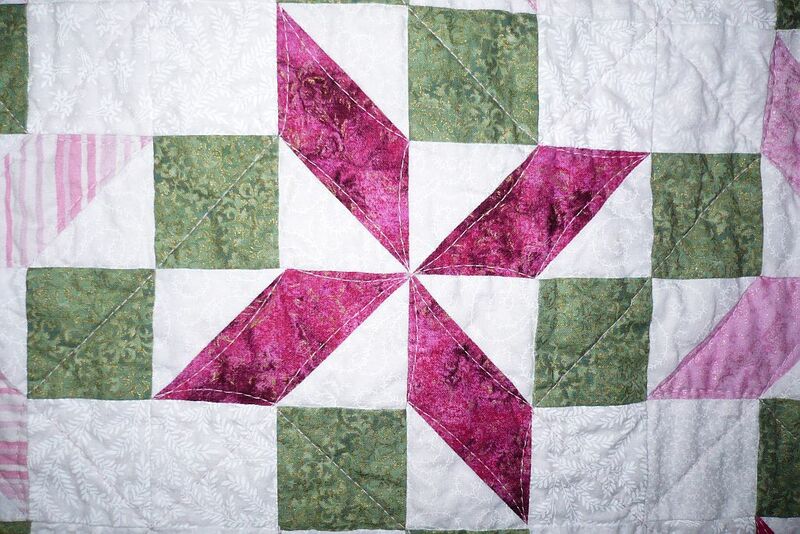 I am impressed that you already have the bably bo quilt almost ready to go! I look forward to seeing your room at the end of the month!